This week, the second 5-week #NeverSettleClub course takes off thanks to sponsorship from AT&T! 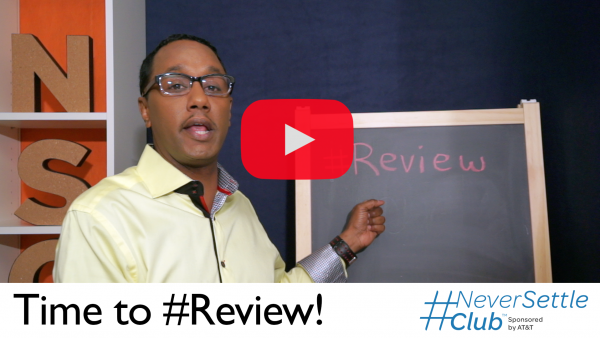 This week it’s time to #Review some of the key concepts from the first 5-week program. I talk about how to get some clarity through meditation and visualization before starting your new entrepreneurial journey, and I teach you an amazing trick to figure out whether or not a monetization idea for your passion is a good one that you can actually pursue! Click through to the video above, and get all of the course materials, including your homework, over at the AT&T Business Circle site.